Cities are sites of crisis and opportunity. In a context of rapid social change and austerity, the effectiveness of traditional systems of urban governance is in doubt. Jam and Justice: Co-Producing Urban Governance for Social Innovation aims to create a unique space for social innovation to co-produce, test and learn from new ways of governing cities.‘Jam’ is about bringing together different partners in the city to experiment and innovate to address shared problems. ‘Justice’ is about re-connecting with those who have been disenfranchised and excluded from the search for solutions. • To test and learn about the effectiveness of different mechanisms to increase citizen participation in urban decision-making. In addition to the ARC’s codesigned action research projects (detailed below), Jam and Justice has programmes of work to support cultural change within urban governance institutions (Developing Co-Productive Capacities) and create an engaged coalition of citizens committed to greater participatory cities (Coalitions for Change). The research is largely funded by the ESRC’s Urban Transformations programme with co-funding from Mistra Urban Futures, particularly for comparative work and public engagement. 2016: Establishment of the Action Research Collective. 2017: Codesign process to select action research projects to test and learn about participatory urban governance; followed by identification of action research teams to enable delivery. 2018: 4 action research projects completed, with 4 others nearing completion. A ninth gets underway, and the ARC reallocate funds from one that did not initiate to support successes elsewhere. Publications appear in Nature and Social Policy & Administration. 2019: Data analysis and coalition-building processes underway. Findings to be shared in venues including through a learning exchange with Gothenburg (March), during National Co-Production Week in Greater Manchester (July), and at the Realising Just Cities conference (Sheffield, October). "Co‐Producing the City: preview of the new Jam & Justice brochure"
NEW: A summary of Jam and Justice’s motivation, design and emerging lessons has been produced in a the form of a Co-Producing the City brochure (PDF, pictured above). Featuring interviews with Action Research Collective members and a showcase of our projects, the brochure gives a first impression of our findings and insights whilst data analysis and reflection is ongoing. Download a copy. Prof Beth Perry, LIP Director in Sheffield-Manchester is the Principal Investigator of the project. Catherine Durose, Liz Richardson and Alex Whinnom as co-investigators, Vicky Simpson as project manager; Bertie Russell, Susanne Martikke and Daniel Silver as research associates, and Iona Hine as impact officer. Non-academic members of the Action Research Collective include Adrian Ball, Amanda Bickerton, Andrew Burridge, Alice Toomer-McAlpine, Jez Hall, Julie Asumu, Katie Finney, Laura Williams, and Paul Maher. Prof Tim May, Sheffield Methods Institute, is methodological advisor. 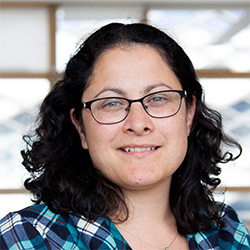 Bertie is a Research Associate in the Urban Institute and works on the ESRC Jam & Justice Project and as part of the international MISTRA Urban Futures. Liz Richardson is a Reader in Politics at the University of Manchester. Catherine Durose is a Senior Lecturer at the University of Birmingham. Alex Whinnom is the Chief Executive of the Greater Manchester Centre for Voluntary Organisation (GMCVO).